With over 20 years of DJ experience in African, Reggae, R&B, Hip Hop & International music, DJ Desmond Lewis will definitely guarantee Non-Stop dancing pleasure for your guests at your special events. For a sampling of his work, check DJ Desmond out on his show at www.africaninternetradio.com. His air times are Monday nights from 7:00 pm to 10:00 pm and on Friday afternoons from 2:00 pm to 5:00 pm. 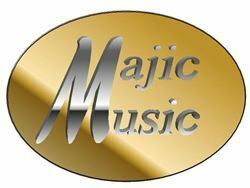 Majic Music a Professional Mobile DJ Service for your upcoming special event. We specialize in music for weddings, school events/dances, bar/bat Mitzvahs, corporate events and all parties that require a fun, energetic, professional and experienced Disc Jockey/MC at an affordable price. Trust the professionalism and experience of Majic Music to keep the dancing going all night long. We are your DJ entertainment experts for all events with over 20 years of experience. We are also pleased to offer MC’s or Be Your Own DJ rental. As a professional Mobile DJ/MC, we will work with you on every detail to insure that the music for your special event is everything you’ve dreamed. Along with our spectacular sound, we’re ready to treat you and your guests to a very fun and memorable event! More Than Music, More Than Entertainment… We make memories!! !